Soon after graduating I had wrapped up Ragnarok and I wanted my next project to get in front of more people. I thought it would be valuable to get something out to more people and I thought the pressure of having it work for them would clean up my act a bit. Another thing I was searching for was some more honest feedback. An unfortunate side-effect of my approach with Ragnarok was that the feedback I received was skewed. Firstly, most of the people trying out the game were also trying out VR as well as hand tracking for the first time in their lives. That’s a lot to take in and it’s impressive in its own right, so it was tough to extract usable feedback from the vast majority of the people who tried it. Requiring the DK2, Leap Motion, and a cleared out area to play the game meant that people could only try it out if I was standing right there next to them. It’s tough to say anything negative about someone’s creation when they’re standing there smiling at you expectantly. Fortunately in this case the reverse seems to be true over the internet. 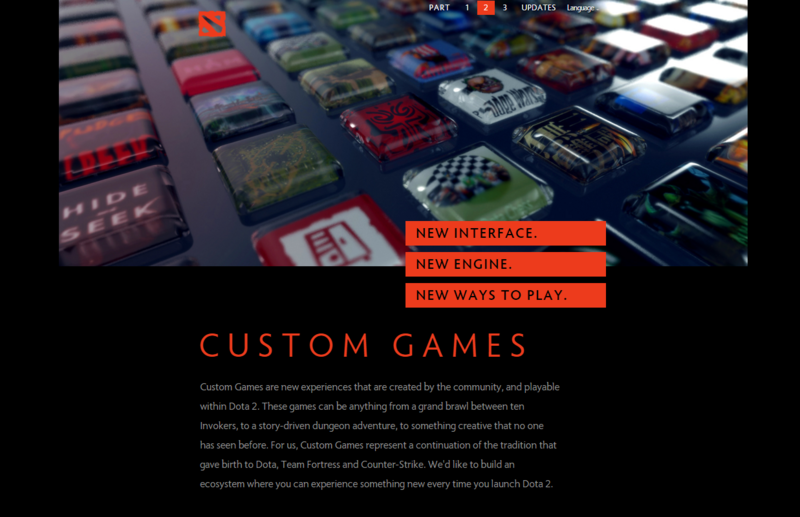 So as for what direction I wanted to go with this project Valve had great timing by releasing custom game support for Dota 2 on June 18th with their “Reborn” update. 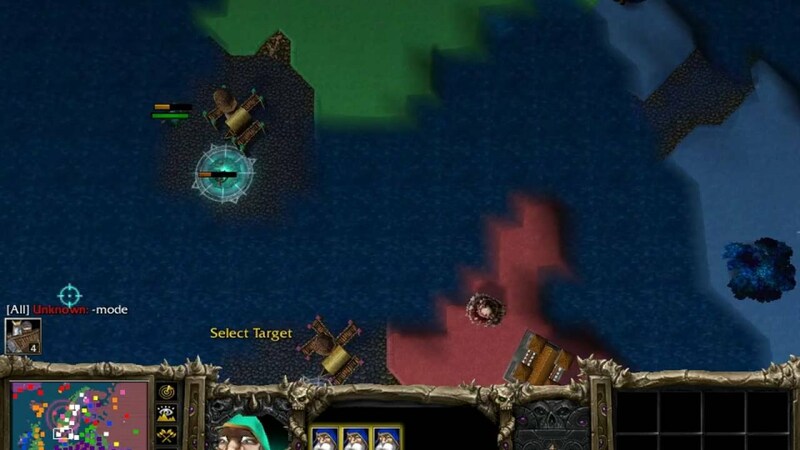 After I had heard that custom games were coming to Dota 2 the first thing that came to my mind was remaking the Warcraft 3 mod Risk Devolution. Risk had been my favorite mod for Warcraft 3, which is saying a lot considering it was going up against classics like Vampirism, Life of a Peasant, Island Troll Tribes, and Dota itself. It was also fortunate that Risk wasn’t so popular of a mod that somebody else would definitely be working on it. So after searching through a couple forums to make sure there weren’t any major efforts to revive it for Dota 2 I got started. Risk Devolution takes place in Europe and small parts of the Middle East and Africa. Players start out with bases randomly scattered across the map (the castle-esque buildings) from which they can spawn units by spending gold. Every minute a player is awarded more gold based on their income, which rises for every country the player completely owns (in this screenshot the teal player owns Croatia, giving him one extra income per turn.) Much of the strategy in the game centers around what countries you start out in and how you position yourself geographically to eventually conquer the world. The trade offs when going for various parts of the map were what really made the mod shine: going for Russia yielded a lot of income but was difficult to defend, Eastern Europe was both easy to take initially and for your enemies later on, the Middle East was easy to defend but also easy to contain, etc… There was also a lot of fun political positioning with temporary alliances being declared (though they weren’t supported by the game) against the current leader, so the strategy was to always be behind until you were ready to take over the game. So I set out to try and recreate the mod as faithfully as I could at first, and if I couldn’t include all of Risk Devolution’s features I wanted to keep the core of the game’s appeal intact. You may also have noticed that I’ve combined several countries into a single territory here. 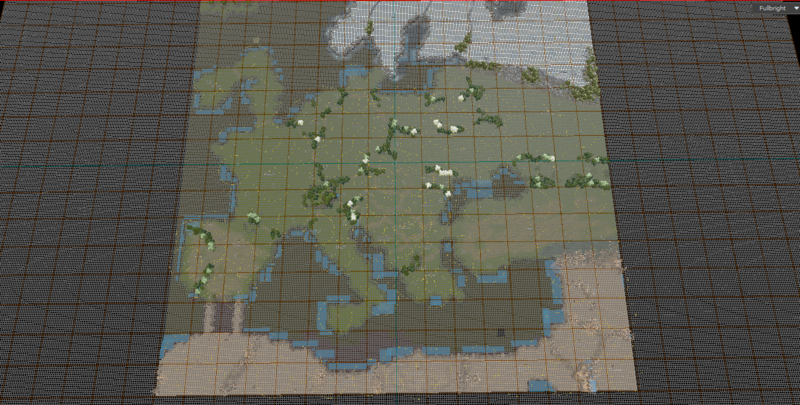 At the time my map was the largest it could possibly be and you could only manipulate things like terrain height within a predefined grid. So initially I had given every country in Eastern Europe its own space with two bases (the turrets) because a territory with a single turret would be conquered automatically at the beginning of the game during the random assortment and give its owner an instant advantage. This made Eastern Europe the densest and most valuable area in the game by far, and also had the side effect of reducing all of the range of the units in the game to compensate for its density. So in order to fix this I combined several of the smaller and closely-positioned countries in Eastern Europe as you see here. That’s all I’ve got for now, you can check out the steam page for the mod here and the source code on my GitHub.